Intek Instruments is an esteemed Distributor, Trader, Supplier, Wholesaler, Dealer, Importer and Exporter of Signal Conditioner / Signal Amplifier. We are North India Distributor for Gefran Italy. We are immensely proud to offer the utmost quality Signal Conditioner that is extensively demanded in the market due to its salient features given below. The signal conditioner provided by us is manufactured in adherence with defined quality standards by making use of quality tested components and the latest technology. Additionally, our prestigious clients can avail this signal conditioner from us at market leading prices. We are indulged in offering our clients with an excellent quality range of Gefran Signal Amplifier to our prestigious clients. The signal amplifier provided by us is manufactured under the meticulous supervision of experienced professionals using quality tested components and innovative technology at par with market quality standards. 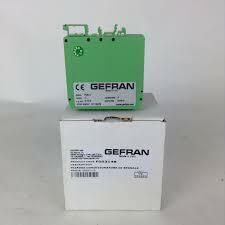 We also make available these solid state relays in enormous specifications as per the exact requirements of clients. 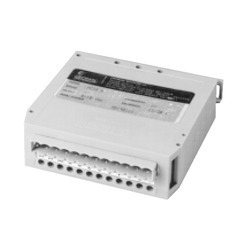 These solid state relays are provided at industry leading prices to the clients. We bring forth a high quality assortment of Displacement Transducer that is made available in enormous technical specifications to accomplish diverse necessities of our prestigious clients. Our offered transducer is designed and manufactured using quality tested components and pioneering machine in tandem with set industry standards. Additionally, our offered transducer is verified against diverse quality parameters to assure its long service life.